The holidays are right around the corner, making it the best time to treat yourself or your business to some new tech! The whole Guardian Computer team got together to pick out these awesome options for our 2018 tech gift guide. From hands-free assistants to wireless headphones to a handheld translator, we’ve got all the tech gifts you need this holiday season for personal and business use in the Guardian Computer Tech Gift Guide! When asked about the perfect gift this holiday season, Charles suggested the PNY Elite-X flash drive. “Nothing is as handy as keeping your entire music, movie, pictures and well…everything right in your pocket.” This easy to encrypt USB is perfect for safe and on-the-go storage. It provides speedy files transfers with 200 MB per second. It’s also compatible with most PC and Mac laptop and desktop computers. This gift is perfect for anyone but especially those in the education, finance, or legal industry to use at the office, at home, and at school. Also, this flash drive is great for emergency data recovery, with 512gb of storage, this can be used to keep your most important files with you. Jeremy suggests The Eufy Smart Scale, “a stylish and affordable scale that works in conjunction with an app you can use on your smartphone or tablet.” The app helps to track multiple aspects of your health to provide you with insight into your well-being. The Smart Scale also connects with the Google Fit and Apple Health apps to sync data. With the ability to sync up to 20 user accounts, the Eufy Smart Scale is perfect for families who are all about fitness or for your colleague who works in the healthcare industry! Our President, Jean said, “Google Wifi is the easiest and most manageable router, period.” It’s a Wifi router that works well, even in old houses with thick walls. No more connecting to other someone’s public wifi! Unlike the traditional router, Google Wifi Mesh sets up multiple points throughout your home to create a “mesh” network that delivers a consistently strong, secure signal. It might not be flashy with lots of controls, but it more than makes up for it in unmatched simplicity! This gift is perfect for business owners in old New Orleans buildings and work-from-homers. Dani suggests giving the gift of Adobe this holiday season! With Adobe Acrobat Pro DC, you can create, edit, share and sign PDFs. This program also allows you to collaborate with people in remote locations! Rather than being Windows or Mac specified, users on all platforms can use this and its features are the same. This makes working with PDFs easily accessible from any device while on-the-go! It also integrates with Microsoft Office 2016 and Office 365. “With PDFs being optionally secured to be both read-only and tamper-evident, they are the preferred file format for most legal documents,” Dani says. This makes the perfect gift for someone in the legal industry! The ili translator is so awesome! You simply just press the button, speak into the mic, and it translates your sentence from English to Spanish, Mandarin or Japanese (one-way) in as little as 0.2 seconds. Charlie says, “The device is primarily designed for travel, however, I’ve used it for many other day-to-day quick communications.” It also has a built-in library of short sentences and common travel sentences. No wi-fi is required so this pocket translator is perfect to use anywhere you want! Get hands-free help in any room. Ryan says that “the Google Home Mini is a bargain for the value and ever-increasing options.” With this device, you can play music from your favorite streaming service, set reminders, create to-do lists, play your favorite radio stations, ask questions powered by the Google Assistant, and control any smart home devices you may have around the house. It’s also built for kid-friendly fun, including trivia games or read-a-longs that help to bring stories to life with music and sound effects. This is a great gift for anyone in the education industry to implement inside the classroom! Charles suggests getting the tech-loving fitness guru in your life a Fitbit Charge 3. “It’s one of, if not, the most advanced fitness trackers on the market,” Charles says. This lightweight fitness tracker tracks your heart rate, calories burned, hours of sleep, distance and more with a battery life of up to 7 days! Also, the Fitbit app lets you customize your workout routine and allows you to run reports, so you can see your progress come alive. This gift is perfect for the tech and health nut in your life. “If you own a Samsung smartphone, your next purchase should be the Samsung Gear IconX wireless earbuds,” John says. He has always hated earbuds because they don’t stay in his ears for more than 2 minutes but these wireless earbuds have a small wing that tucks in just right to keep them securely in your ears. The Gear IconX earbuds also work as standalone media players when you upload music from your phone. You can play playlists, navigate tracks, and turn up the volume with simple taps and swipes! Also, the batteries last for days. This is the perfect gift for anyone always on-the-go! With so many apps and programs that require a login these days, it’s become hard to keep up and remember so many passwords! 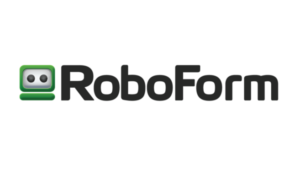 Sherri suggested getting RoboForm this holiday season, “this little gem of software can be used not only in the work environment ANYONE can and should use it!” RoboForm does all the remembering and creating for you. You only need to remember one password which will give you access and logins to all your different accounts in just a couple of clicks! This is perfect for any and everyone no matter what industry you’re in. According to Dani, this is the most comfortable and lightweight wireless headset. Being on the phone all day, she needs something that doesn’t hurt her ear and audio that is crystal clear. Plantronics CS530 Wireless Headset’s quality digital sound is combined with both mobility and multitasking! It supports multi-headset conferencing for up to four headsets with a low probability of interference. You can get up to six hours of talk time and range up to 350 feet from your desk phone. The Plantronics Wireless Headset is a must-have if you are on the phone all day. “The era of analog headphones is behind us. If you own a flagship iPhone as well as many leading Android brands, you may be dealing with no headphone jack. The OnePlus Bullets are what the basic earbuds from a convenience store used to provide,” Ryan says. These wireless headphones provide great sound quality and are designed for durability and comfort. You can also switch between music, calls, and Google Assistant effortlessly. Whether you’re heading to work, working out or relaxing, these headphones will stay in place! Kids at home while you’re still at work? Jean Prejean suggests the Ring Video Doorbell Pro as a great way to keep an eye on them! The motion detector alerts you on your phone when someone approaches the door, so you not only know when your kids get home, but you also know when friends or strangers have arrived, even after dark. You also have the option to talk to the person at the door from wherever you are. Jean says the biggest plus is that it was easy to install! Want to work better, safer, and together? Dani suggests Dropbox which allows you to easily store and share your documents, videos, and photos while also having easy access on any device whenever needed! “With 3 ways to access – the desktop application, online, and the DropBox mobile application – it’s more than convenient to use,” Dani says! Dropbox syncs and backs up on its own, so you don’t have to worry about losing anything and if you accidentally delete something it can be easily restored. If changes are made on one document, on one device, they will sync to appear on all other linked devices. Also, it enables HIPAA compliance! 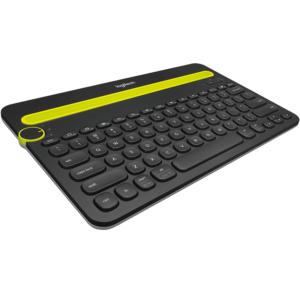 Jeremy suggests getting this affordable, high-quality little Bluetooth keyboard that works perfectly with your computer, tablet, and smartphone this year. To switch between your wireless devices, simply turn the easy-switch dial. Also, there is an integrated cradle that holds your phone or tablet at just the right angle for you to read while you type! We admit it, this fun tech gift guide aside, we’re technology fanatics! We’re always keeping up to date on the latest and greatest technology. We use our technical know-how to help our clients gain productivity by helping them choose and utilize the best products for their business. Want to talk all things keyboards, flash drives, or wifi? Contact us!